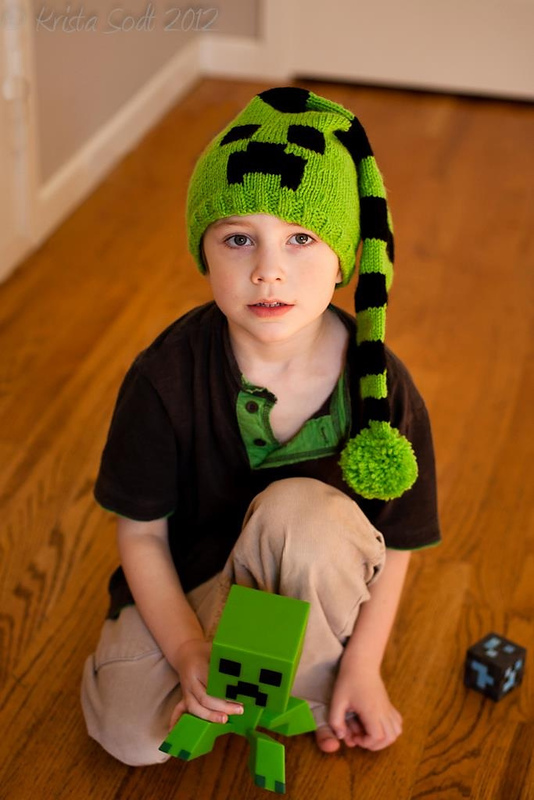 This entry was posted in Inspiration and tagged gaming, minecraft, pax, portal, space invaders, video games, zelda on August 30, 2013 by onemilljellybeans. 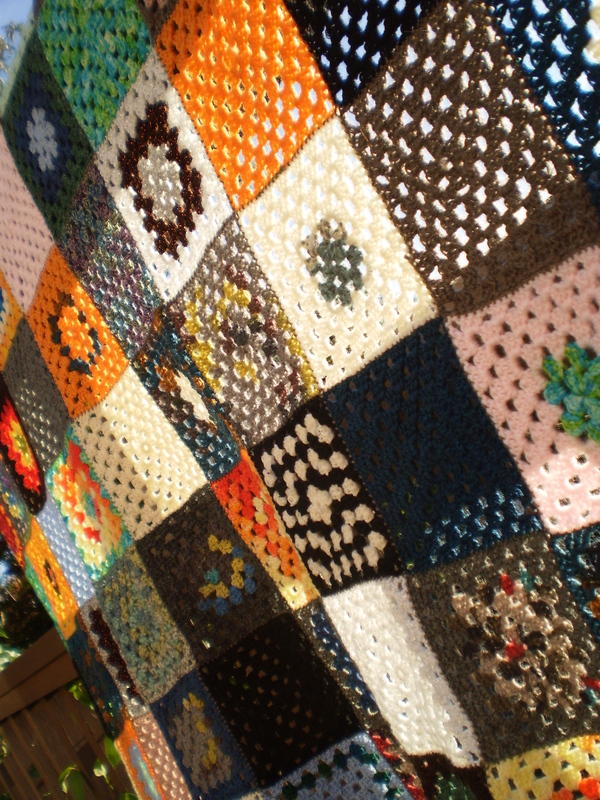 Anyhoo, the blanket is kind of hideous, but I love it. 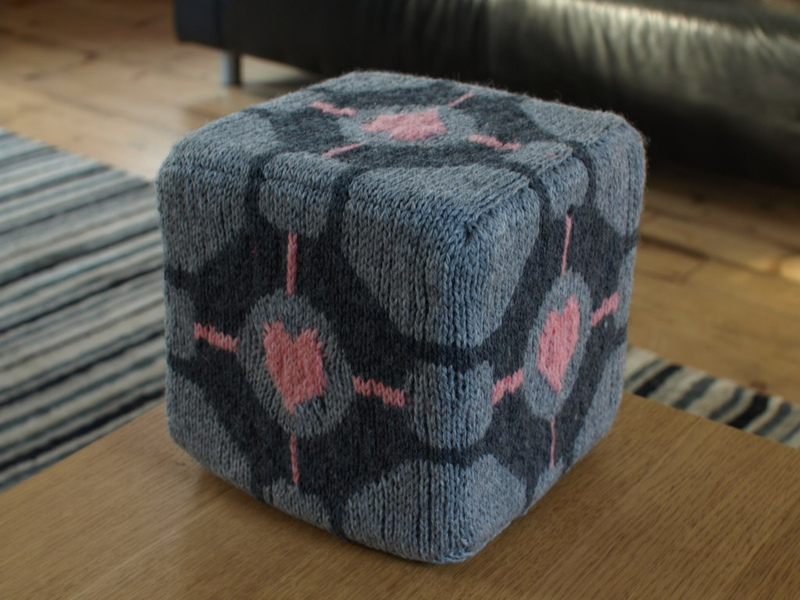 It’s mostly wool, so it’s really cozy, despite being fairly thin. It’s just about the right size to fit over your lap when you’re sitting on the couch watching TV. And I think it’s pretty delightful. 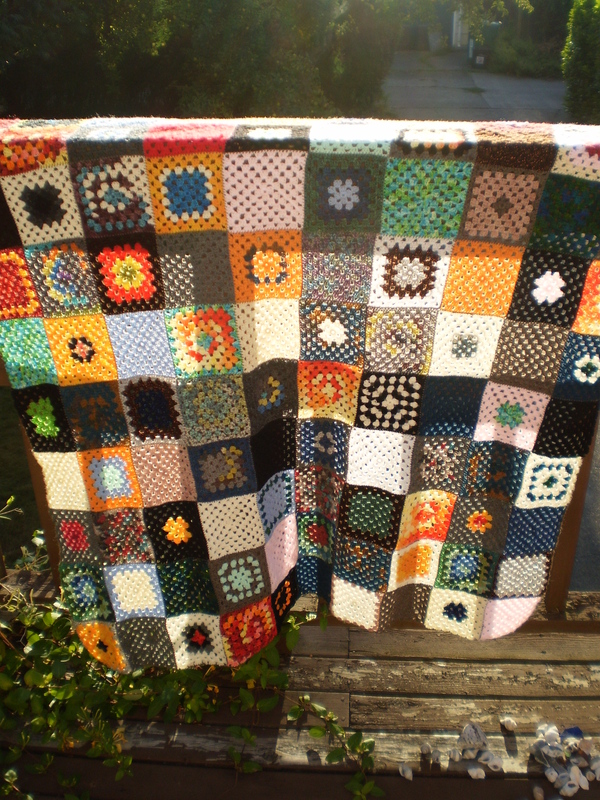 This entry was posted in FYI and tagged afghan, blanket, Call the Midwife, Chummy, crochet, granny squares, whip stitch on August 28, 2013 by onemilljellybeans. Just a quick post today, with a really awkward photo. Because that’s how I roll. When you do a long-tail cast-on, like this, sometimes it’s yard to figure out how long to make your tail. If the tail is too long, you end up wasting yarn. If the tail is too short, you have to rip out your cast-on, and try again (which is a very inauspicious way to start a project). 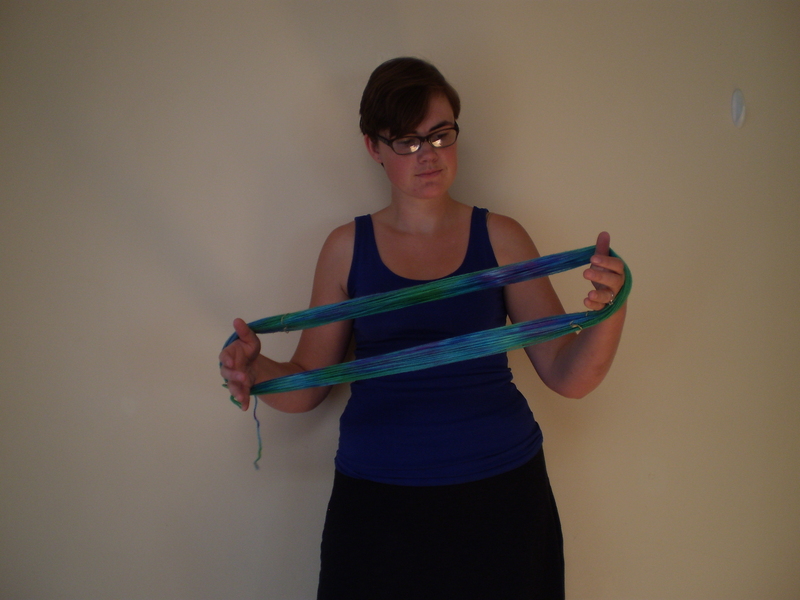 So, here’s my rule of thumb: Estimate the length of your finished knit object, and multiply that by four. So, for example, imagine you’re making a wash cloth. You want the wash cloth to be 9 inches across. So, you multiply 9 inches x4, to get 36 inches. So, you want a 36 inch tail for your long-tail cast-on. Easy! Or, if you want to do it the slacker way (which I totally do), just estimate. 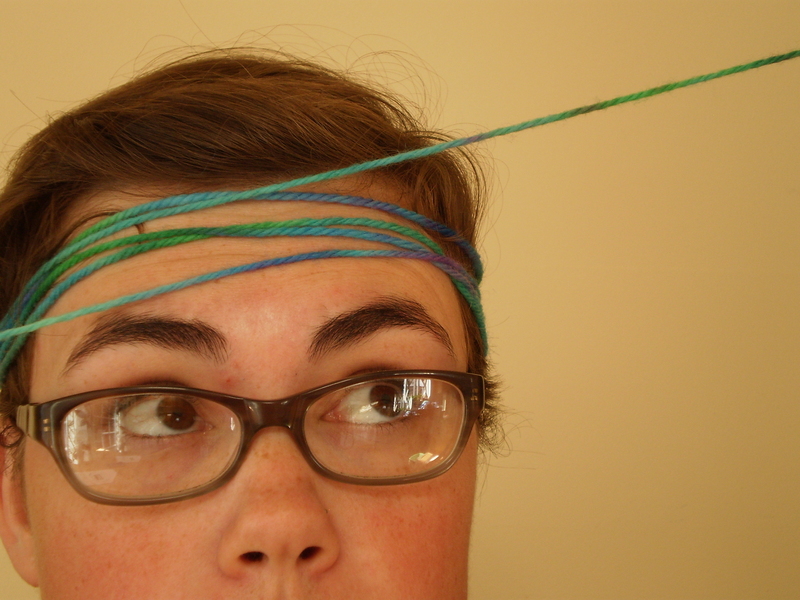 If I’m making a hat, I’ll just wrap the yarn around my head a few times. 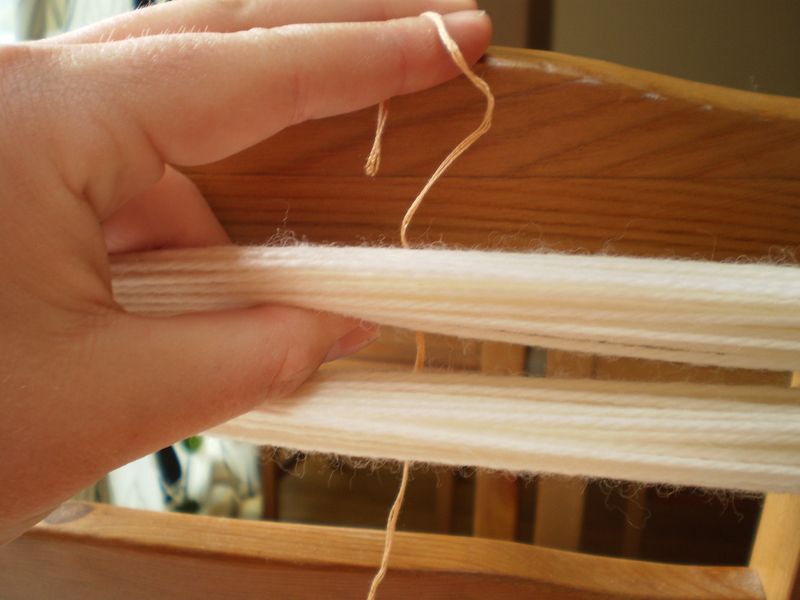 This entry was posted in FYI and tagged cast-on, casting on, long-tail, long-tail cast-on, tips and tricks on August 26, 2013 by onemilljellybeans. I got a new logo! How cool is that? My mom designed it! I’m just tickled pink. I’m good with yarn and needles, and I can draw well enough to do schematics and little sketches for my knitting projects, but that’s about it. Mom just quit her desk job to go back to school for Graphic Design, and I’m so excited for her. She’s definitely got potential. Especially if my new logo is anything to go by. So, thanks so much, Mom! I love it! This entry was posted in About the Blog and tagged blog, computers, logo, mom on August 23, 2013 by onemilljellybeans. Have you ever seen the cartoon “Adventure Time?” No? Well, if you’re not a 12 year old, that kind of doesn’t surprise me. 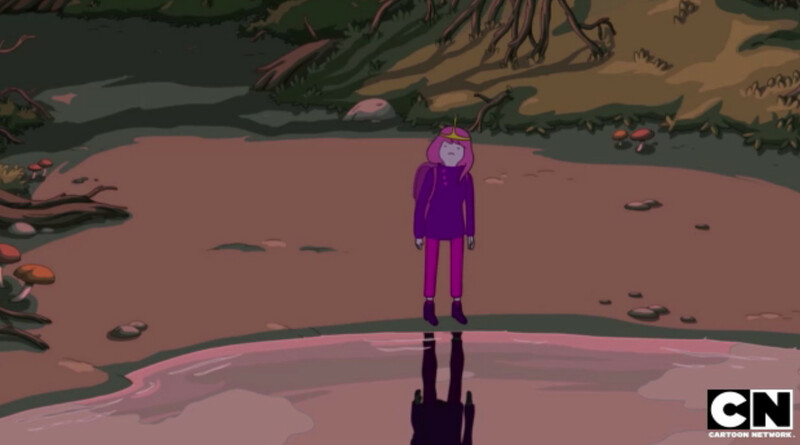 It’s a sometimes funny, sometimes touching, always surreal show about a boy (Finn the Human) and his magical, shape-shifting, talking dog/brother (Jake the Dog). They go adventuring around the post-apocalyptic “World of Ooo” righting wrongs and getting into trouble. 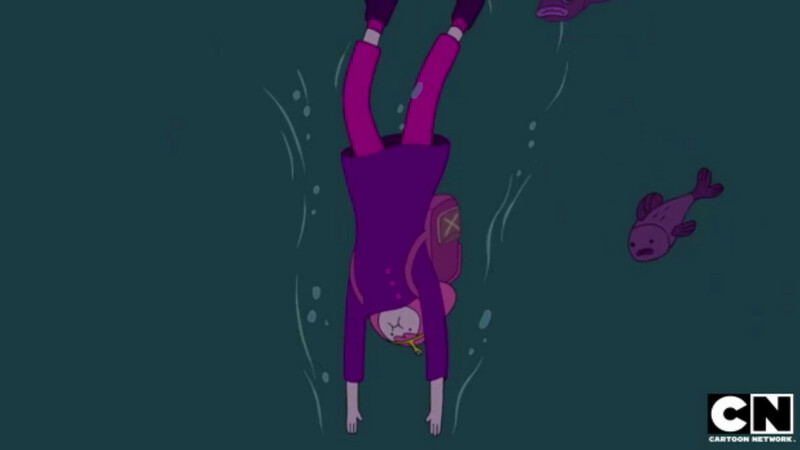 One of my favorite characters on the show is Princess Bubblegum. 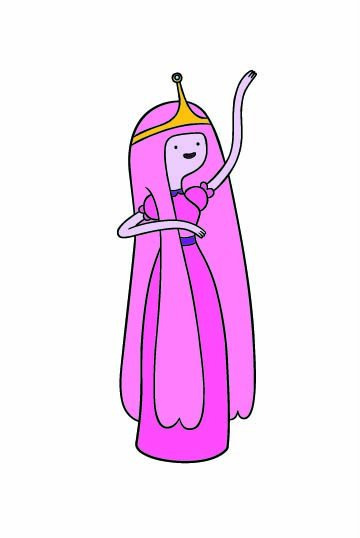 She’s the monarch of the Candy Kingdom (and literally made of bubblegum). She’s sometimes a benevolent overlord to her subjects, and sometimes a semi-terrifying mad scientist. But, she’s always an independent lady and quite a bit of a badass. 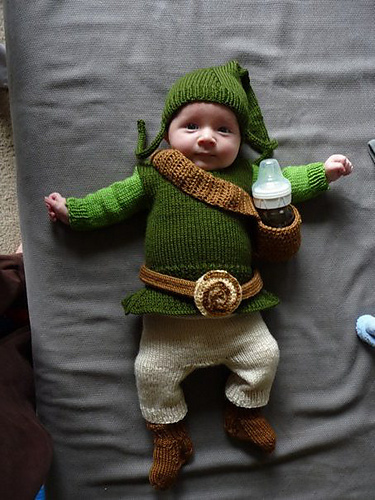 The next time I go on an adventure, I know what I want to wear! A sassy, long cozy pullover, comfy pink tights, and practical purple combat boots. And, of course, my tiara. 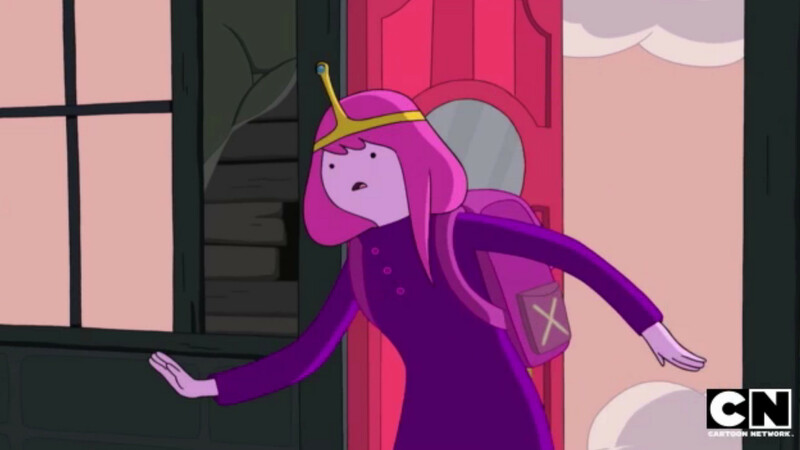 This entry was posted in Inspiration and tagged adventure time, adventure time with Finn and Jake, buttons, cowl, Inspiration, Princess Bubblegum, pullover, TV on August 19, 2013 by onemilljellybeans. Now let’s really have some fun! 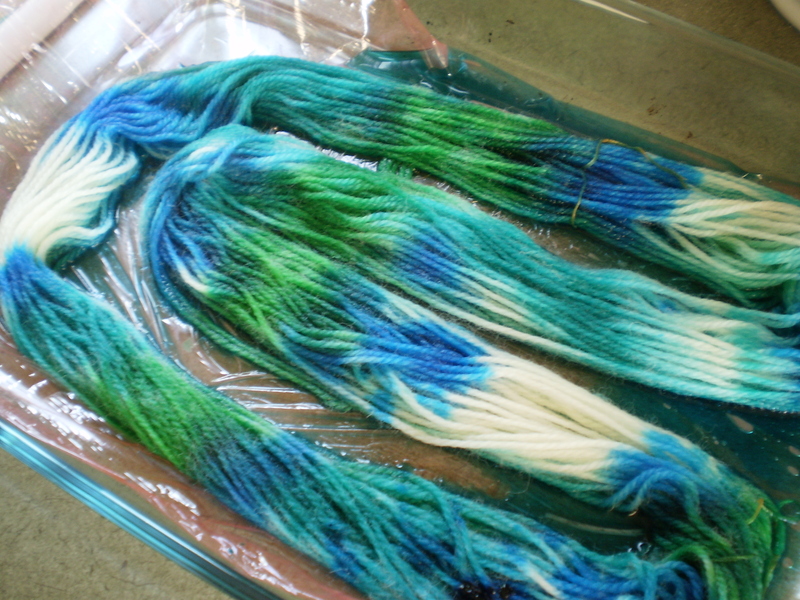 Variegated yarn is my favorite to make… it’s sort of like finger-painting, or tie dying. But with yarn. Fabulous! 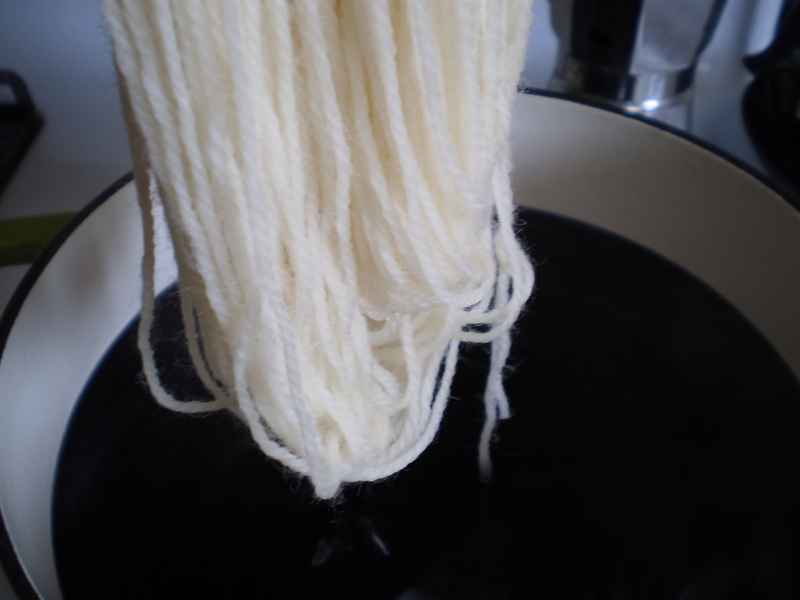 Start out by soaking your yarn in some nice warm water (like usual). When it’s thoroughly soaked, get out a big baking dish and line it with a piece of plastic wrap (mine is pink, because it’s left over from Christmas, when, apparently, you can buy pink plastic wrap). 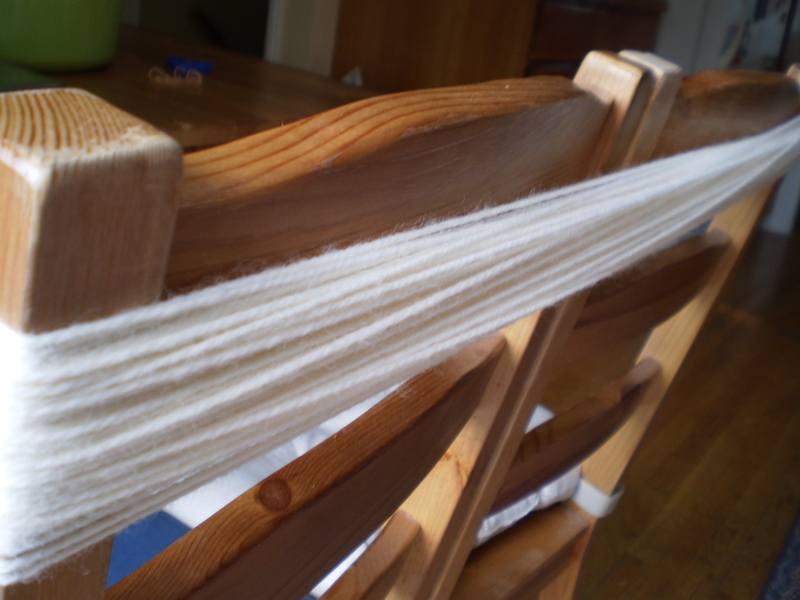 Then, arrange your yarn neatly in the dish, so that it’s all nicely laid out. 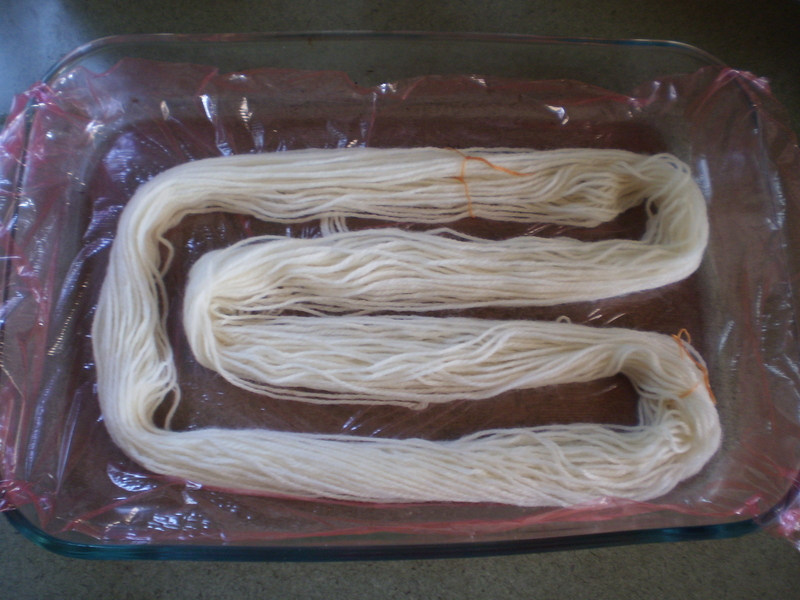 Set your yarn aside for a couple minutes while you put together your materials for your dye. This is going to be a little different than how we’ve done it before, so it helps to have everything ready. -A glass measuring cup with a spout. If you don’t have one, that’s OK. You can use a mug or something else heat-proof, but having a spout keeps everything neat. Ready to start? You’ll have to work kind of fast, so you might want to read over the instructions before you begin. -Food coloring to make the shade I want. 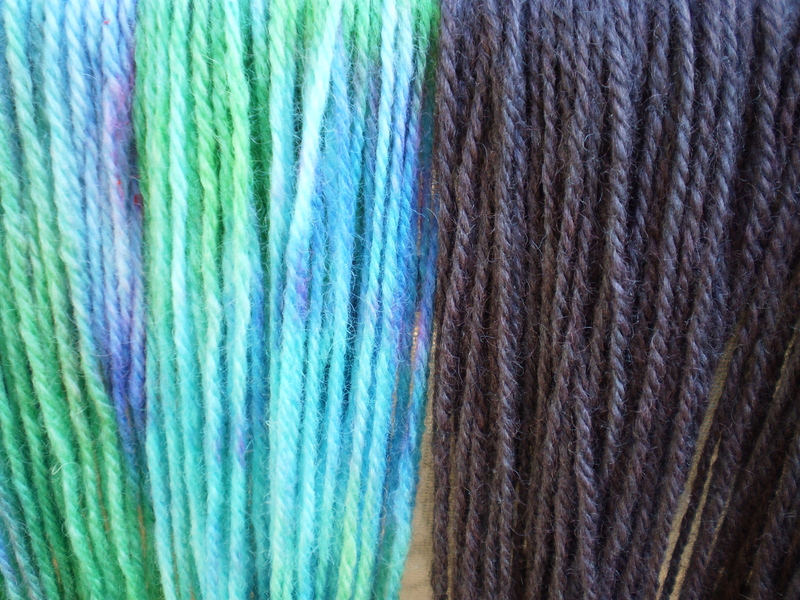 For this colorway, I probably used about a 1/4 teaspoon of each color… more or less. Mix it together with your spoon. If you’re using the gel food coloring, try to get rid of any lumps or chunks (but it’s not the end of the world if you miss some). 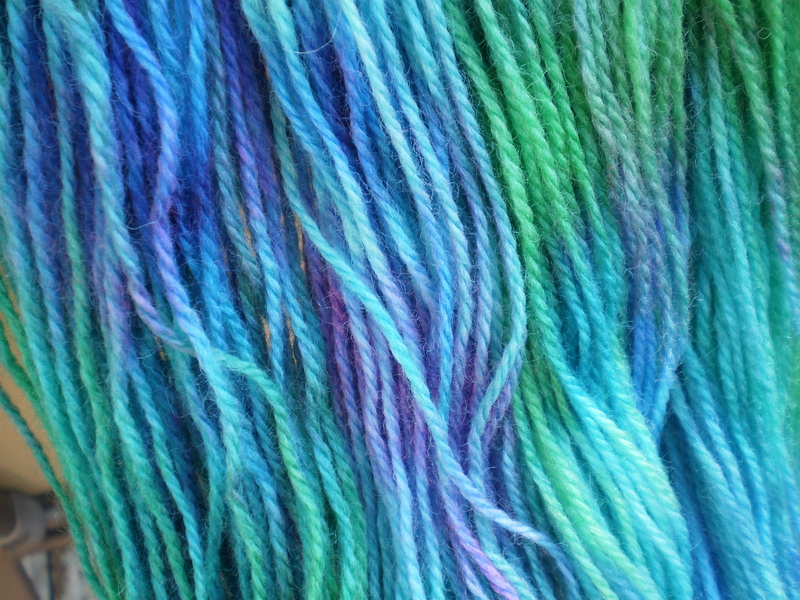 While the dye is still super hot, dribble it artistically over your yarn. (You want to move fast, so that the residual heat from the boiling water sets the color right away. If you wait for the dye to cool, you’ll end up with muddier, mixed up colors. Of course, if you want to go for a mushy, water-color look, then feel free to experiment.) 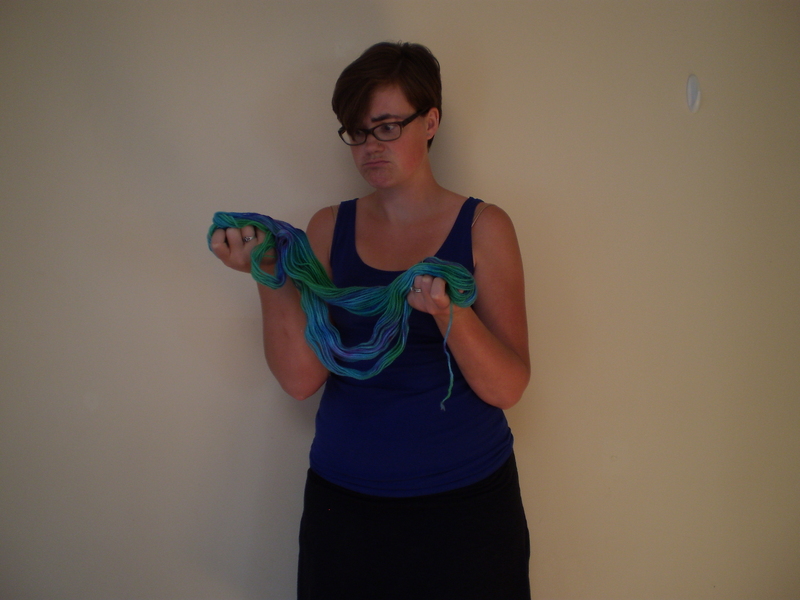 When you dye a section of the yarn, try to dye all the strands in the bundle. 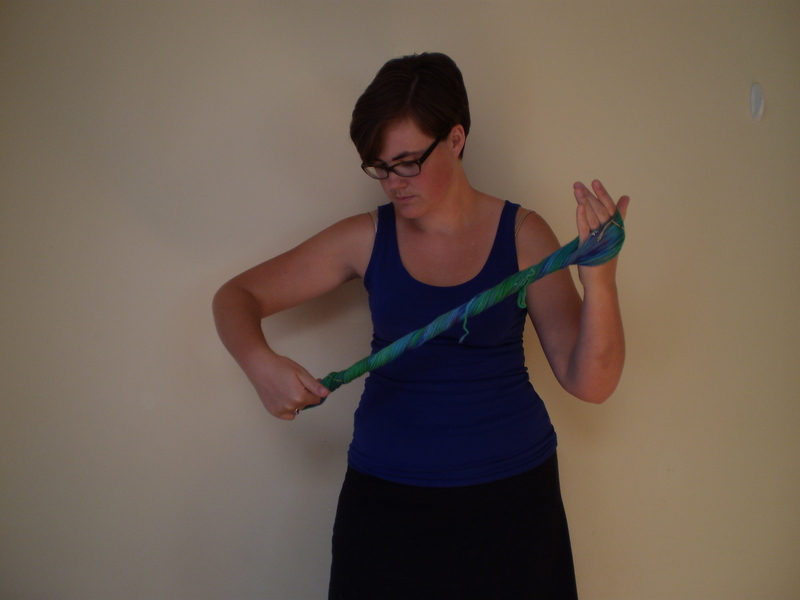 This way your whole skein will end up with more or less the same color pattern. But, again, feel free to experiment. Transfer your burrito to a microwave-safe plate or bowl. Pop the whole thing in the microwave, and zap it for 1 minute at a time. Every time you pull it out of the microwave, let it sit for a minute or two, then check to see if the water has turned clear. 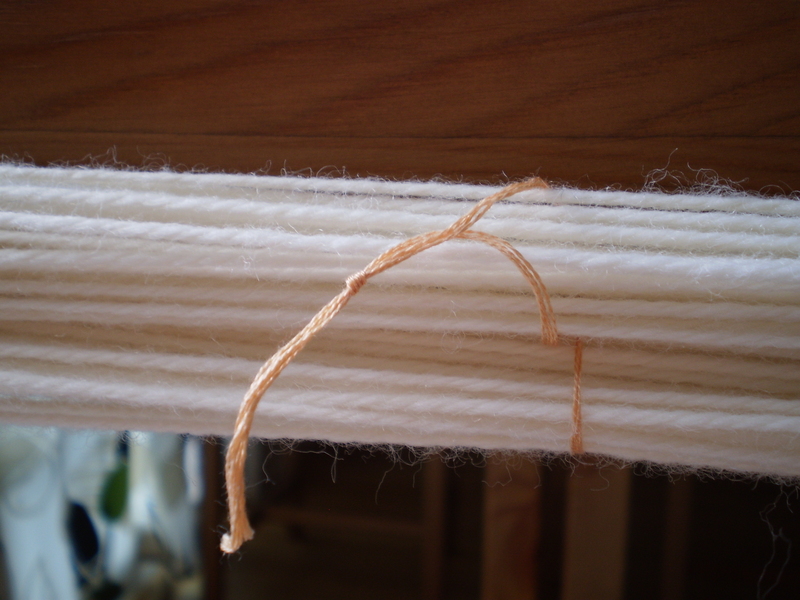 Once it has, rinse out the yarn with warm water, and hang it up to dry. 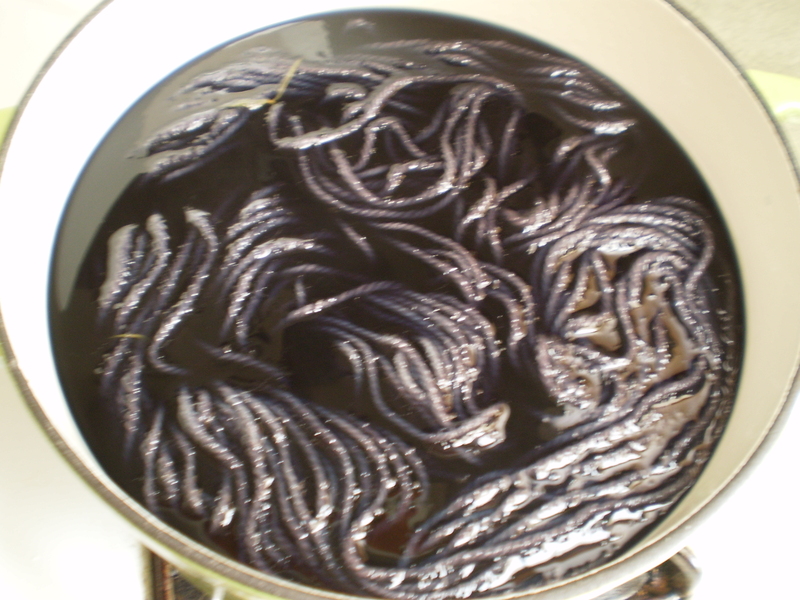 This entry was posted in Tutorial and tagged dye, dying with food coloring, dying yarn, food coloring, variegated, variegated yarn, vinegar, yarn on August 16, 2013 by onemilljellybeans. Let’s start at the beginning, and make us some semi-solid yarn. I’m going to try to make some black yarn. 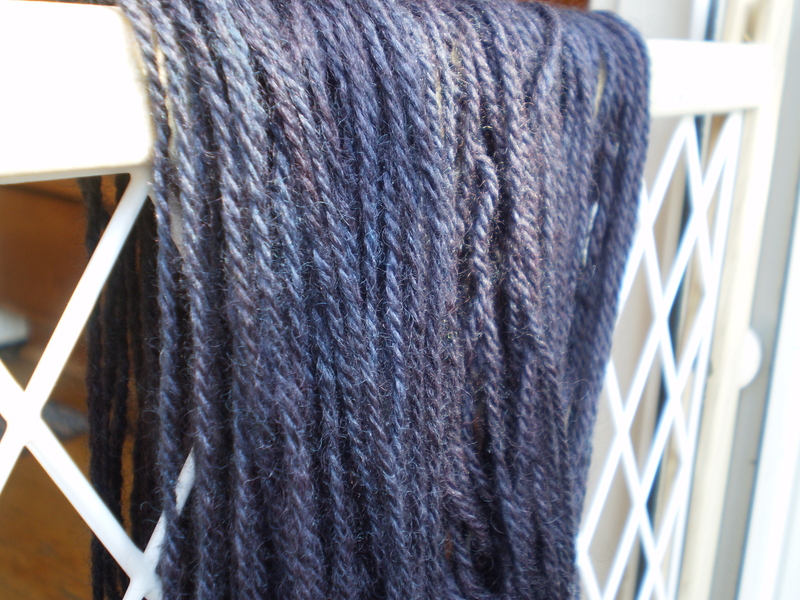 Now, when you shoot for black yarn, you usually end up with really really really really dark purple or blue, but I’m OK with that. 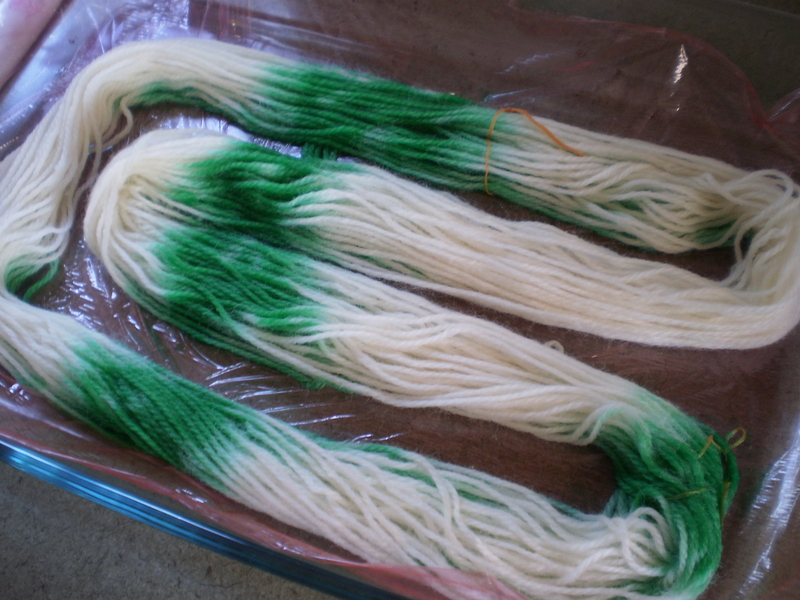 The process is really similar to dying yarn with Kool-Aid, with a few small differences. 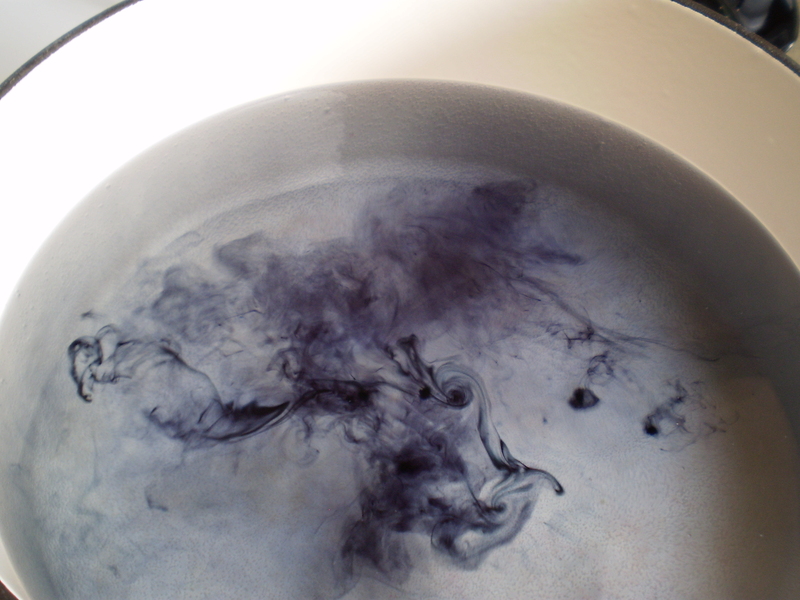 When you go to make up your dye bath, fill your non-reactive pot with plenty of water and a good glug of vinegar. I’ve probably got about a half gallon of water, and about a tablespoon of vinegar. You don’t really have to measure. Then, add in your food coloring. Add as much or as little as you want. I’m trying for a really dark color, so I probably added just under a teaspoon. 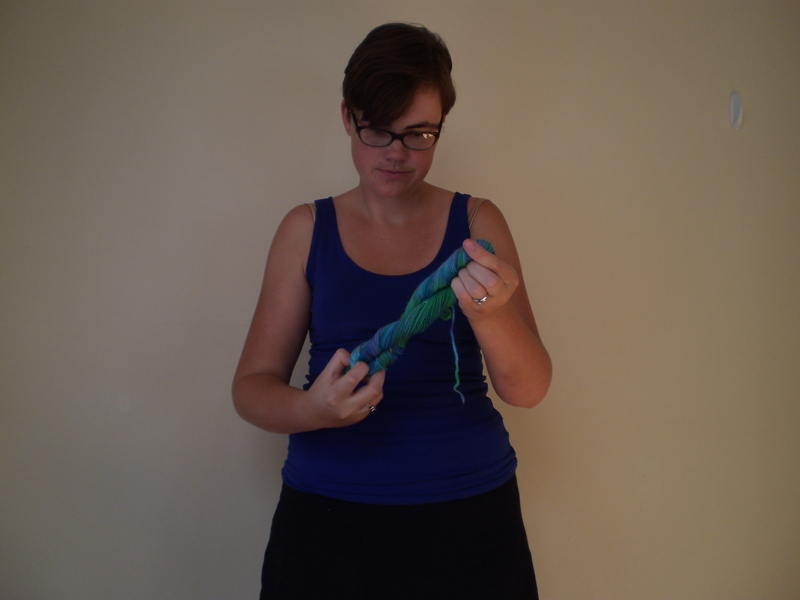 If you’re going to try to get a couple skeins of the same color, you’ll want to measure carefully. But, I’m just making the one, so I can play loosey-goosey. Soak your yarn in warm water. 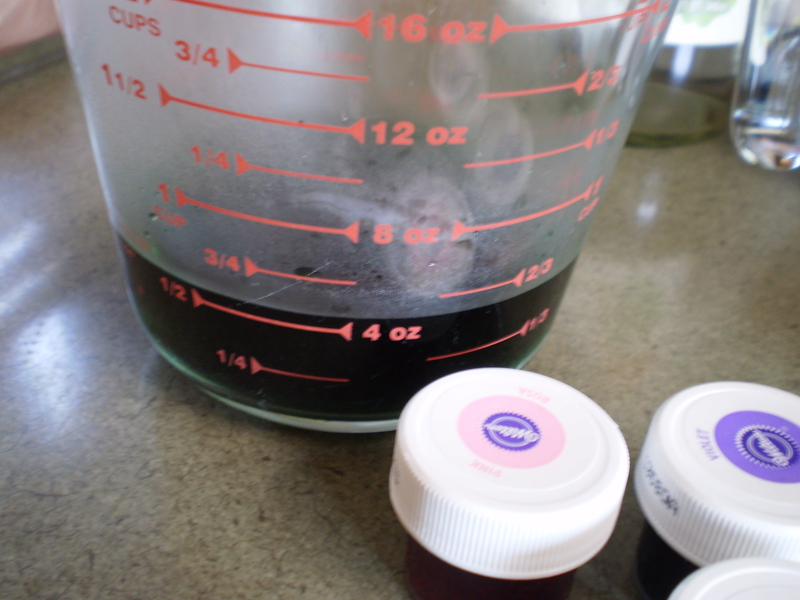 When your dye bath is steaming and just on the verge of simmering, turn the temperature down to medium/medium-high. 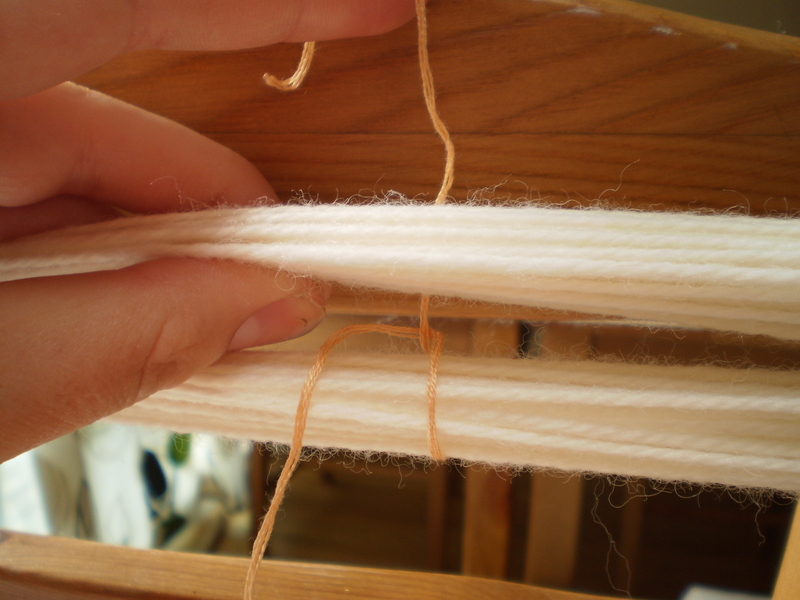 Add the wet yarn all at once and give it a gentle stir with a spoon. When the water turns clear, tip the yarn into a clean colander in the sink and rinse it out thoroughly with clean, warm water. 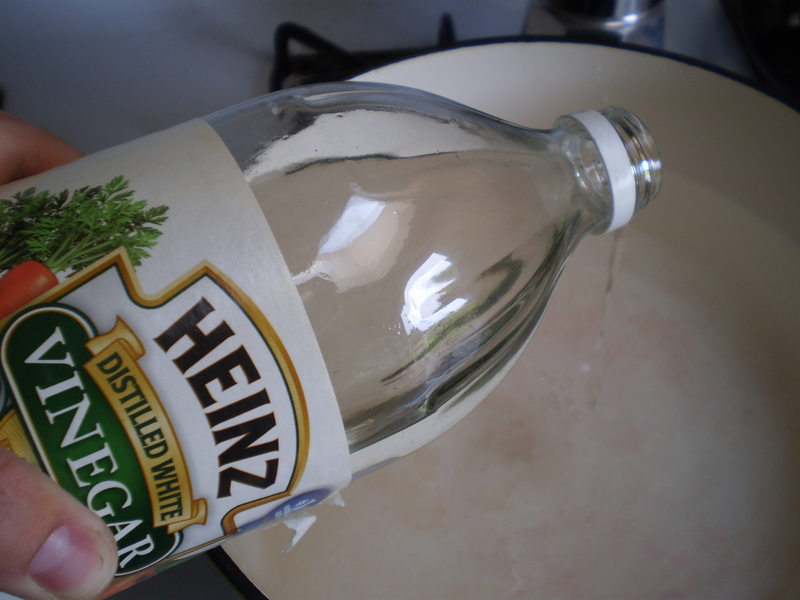 Make sure you get all the vinegar out. Hang your yarn up to dry! This entry was posted in Tutorial and tagged dye, food coloring, how-to, semi-solid, tutorial, yarn on August 14, 2013 by onemilljellybeans. 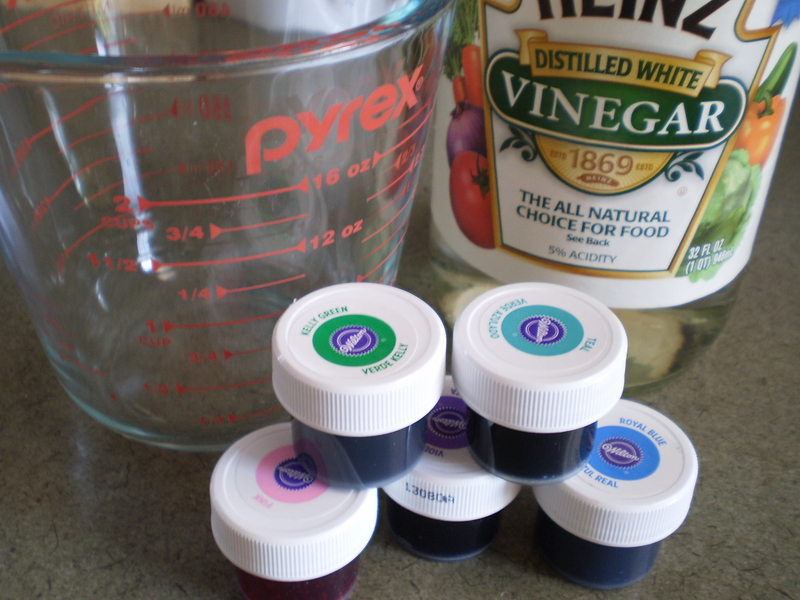 I’ve been getting requests to do a dying with food coloring tutorial for a while now (Hi Mom! ), so let’s do it. Dying with Kool-Aid is fun and all, and leaves your knitwear smelling fruity fresh, but there is a very limited color selection with it. And, unless you’re six years old, you probably don’t want a “Blastin’ Berry Cherry” colored sweater. -Food Coloring. I like the gel concentrate stuff from Wilton. It’s super concentrated, so you can use just a little bit and still get really bright colors. And, it comes in approximately a million shades. I bought this box of 12 colors for about $10 (with a coupon from JoAnn’s), and it’ll last me years. You can use the regular liquid colors from the grocery store, but you’ll have to use a lot more volume to get brightly colored yarn. -Yarn. Just like with the Kool-Aid, this kind of dying only works with animal fibers (wool, alpaca, angora, silk). 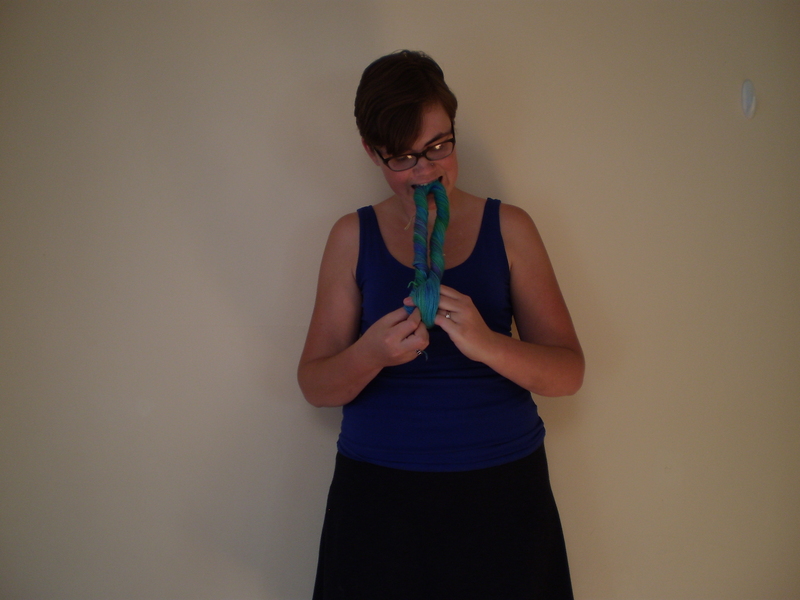 It has to do with the protein makeup of the yarn, but I don’t know all the science behind it. I just know that if you try it with acrylic or cotton, it’ll never take up the color. 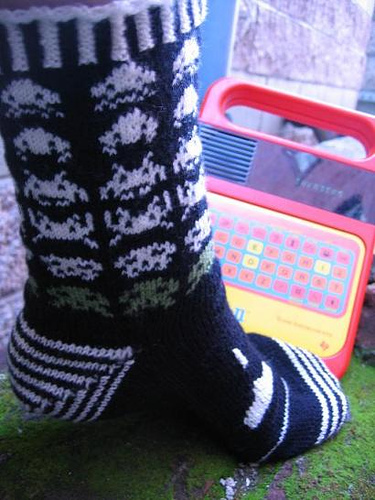 I’m using Paton’s Classic Worsted. 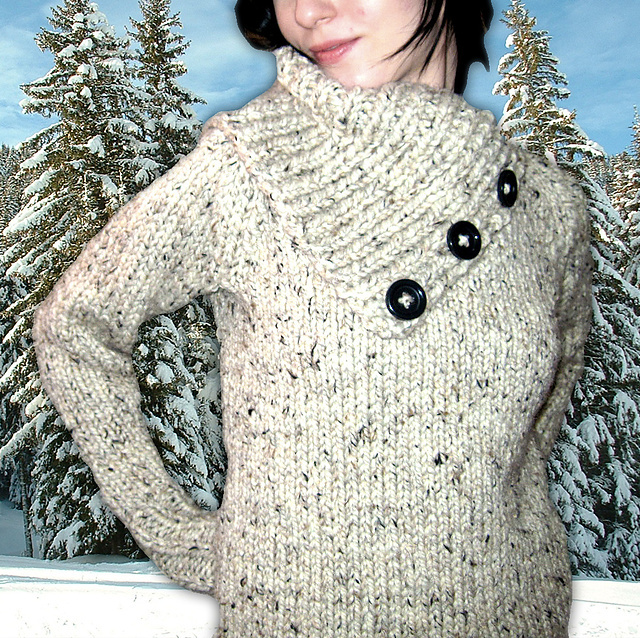 It’s a 100% wool yarn, and it’s easy to find at your local Jo-Ann’s/Michael’s/Hobby Lobby. -Water. Duh. From the tap is fine. -A non-reactive vessel. (Just like with dying with Kool-Aid) Stainless steel, enamel, glass or non-stick/Teflon work well. 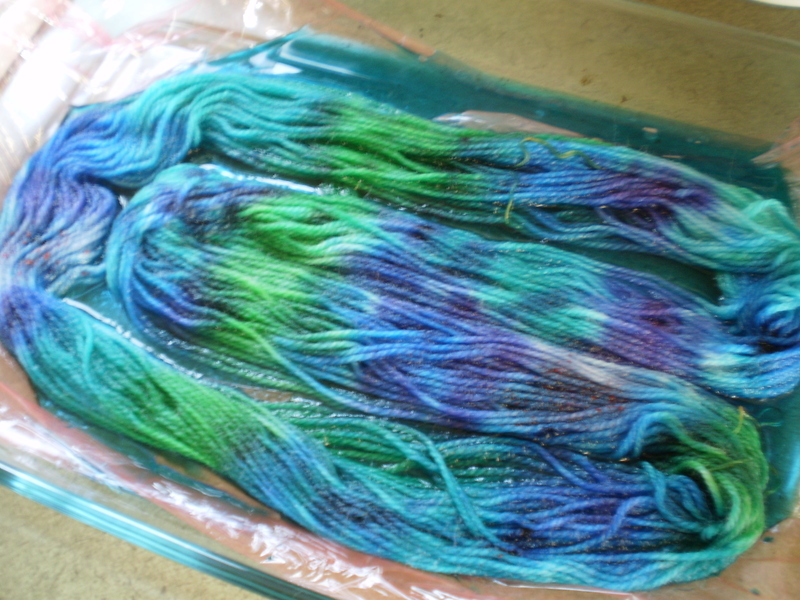 Collect up your gear, and meet me back here next week when I’ll show you how to dye semi-solid and variegated yarn. 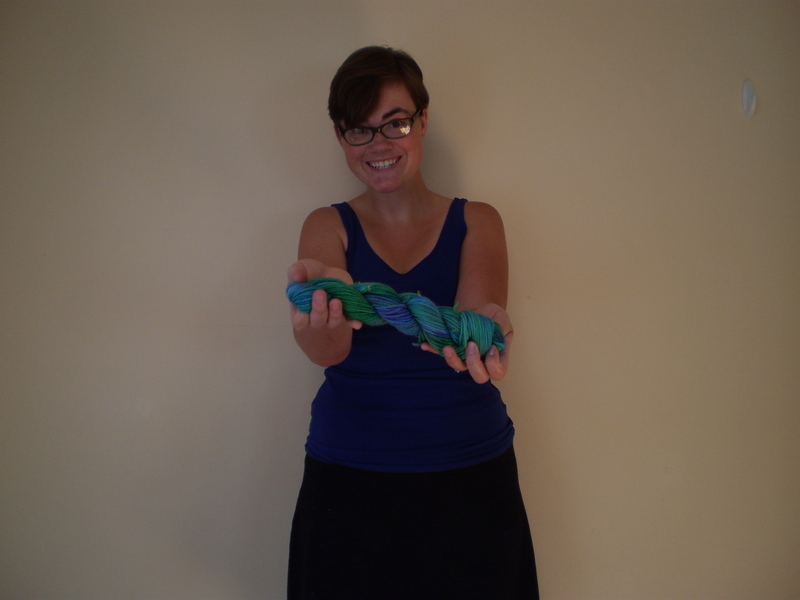 And (if the time management gods smile upon me), I’ll give you a pattern to use your newly dyed yarn! 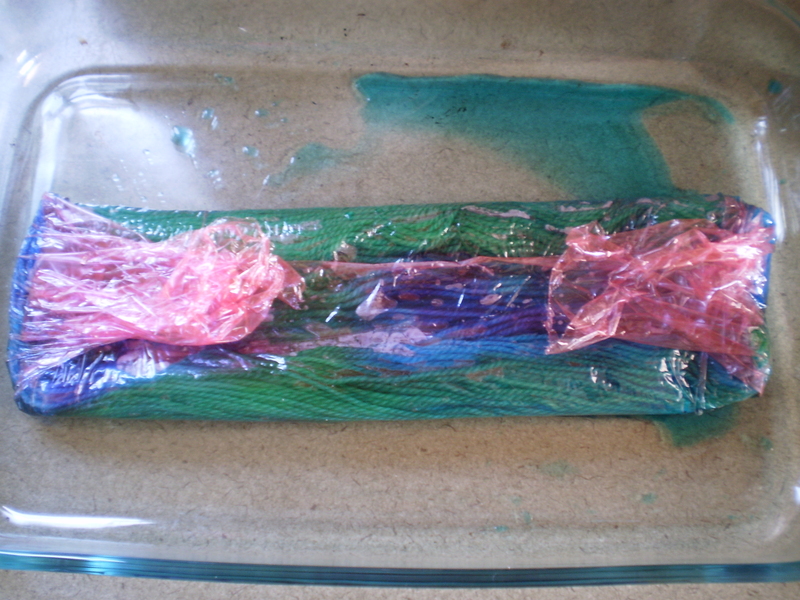 This entry was posted in Tutorial and tagged animal fibers, dye, dying, food coloring, how-to, kool aid, tutorial, variegated yarn, vinegar, wilton, yarn on August 9, 2013 by onemilljellybeans.